The Paramount Theater Named "2017 Outstanding Historic Theatre"
The League of Historic American Theatres Outstanding Historic Theatre Award recognizes a theater that demonstrates excellence through its community impact, quality of program and services, and quality of the restoration or rehabilitation of its historic structure. Thank you for joining us and being a part of the magic, wonder, and excitement that only the arts can provide. The Paramount Theater’s mission – to educate, enchant, enrich and enlighten – is rooted in our commitment to presenting a wide variety of arts, education, and entertainment opportunities for everyone to enjoy. Each Paramount performance is a labor of love. There are many ways you can get involved and contribute to the Paramount experience. We invite you to explore the possibilities. Supporters are crucial to everything that goes on at The Paramount Theater. Contributions help us present the best in music, drama, comedy, and dance, and they allow us to offer reduced-price performances and programs to Central Virginia’s students — the future of our region. Make the arts come alive … become a supporter of the Paramount today! We’ve brought over hundreds of thousands through our doors since re-opening in December 2004. We have events for every audience, from Country to Classical and everything in between. Provide an endorsement of your business no advertisement, commercial, or other marketing effort can. Show your customers, clients, and stakeholders that a friend of the Paramount is a friend of the community. Each Paramount performance is a labor of love, and volunteers keep the show going! All are invited to share in the excitement of the performing arts by becoming a volunteer. The Paramount can use your help with a variety of volunteer opportunities, such as ushering, serving on committees, helping with artist hospitality, and assisting with mailings. 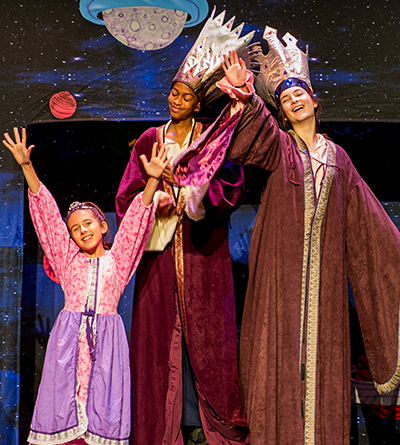 The Paramount believes that a passion for the performing arts begins at an early age. We are committed to presenting the finest programming through live arts education performances for area school children. The support and generosity of our Arts Education Sponsors and Partners allows The Paramount to make these programs accessible to ALL children in Central Virginia by offering performances at a reduced cost and in some cases free of charge.